THE KING OF THE KEG AWAITS! The Dragon has been defeated! The Ancient Dwarven King of the Keg has been awakened. Grow yer beards and Grab yer ale! The King of the Keg awaits! New Ancient Relic Cards and King's Card! 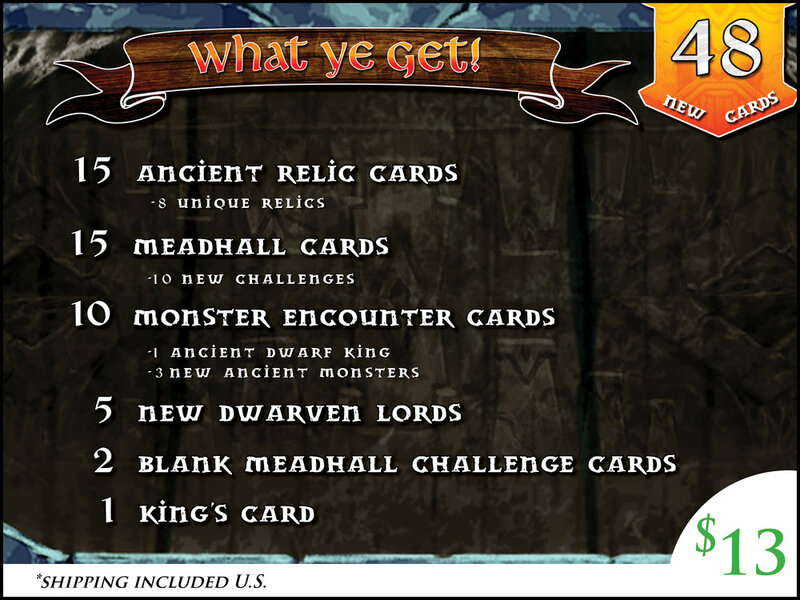 Fight new Monsters in the Mountain and experience new Meadhall Challenges. 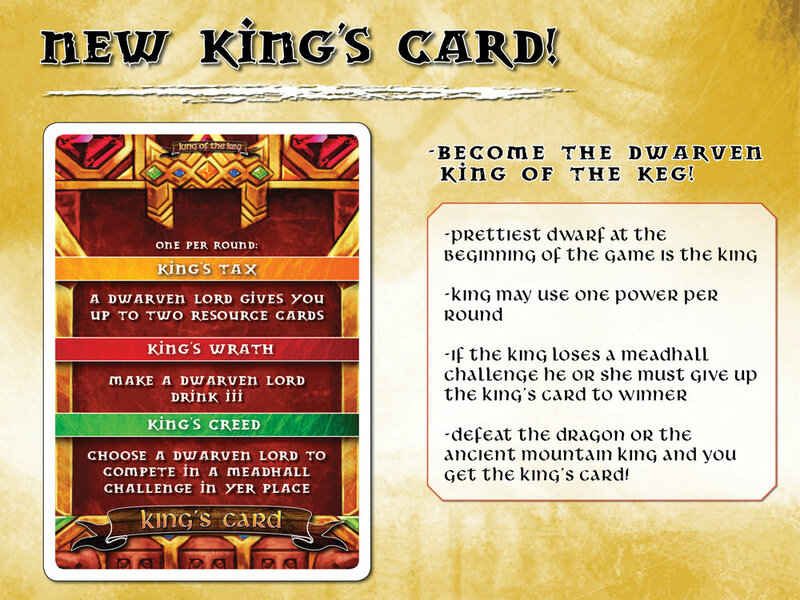 Blank Meadhall Cards allow you to create your own epic Dwarven Challenges!